Fame of the Swedish death metal sound has reached out even to Peru which is where Fervant Hate rolls their music on a rot of death metal riffs, but very good ones. If I did not know that they are South Americans, I`d never guess they are. This band sounds really like European bands, just to mention Wrathrone, Dismember, Murder Worker, Hazael, Befouled among others. I can`t explain why I am not bored by this style of music, but I am glad I am not, and listening to this kind of bands still delights me in some positive ways. Tales Of Hate, Lust And Chaos is very flexible death metal record as well. The band is not afraid to challenge their own ideas within their own brutal style and extend it onto other heavy metal genres, music wise. They seek the ways to make the songs sound a little catchy (track 1,6) with great guitar solos if they feature it in tracks. At least, you do not only have to deal with brutal songs on the album. Growling vocals are very strong element of their music and believe it or not, there`s no tune in this record that I would not like. I find it enjoyable to hear powerful sound and production of this album. 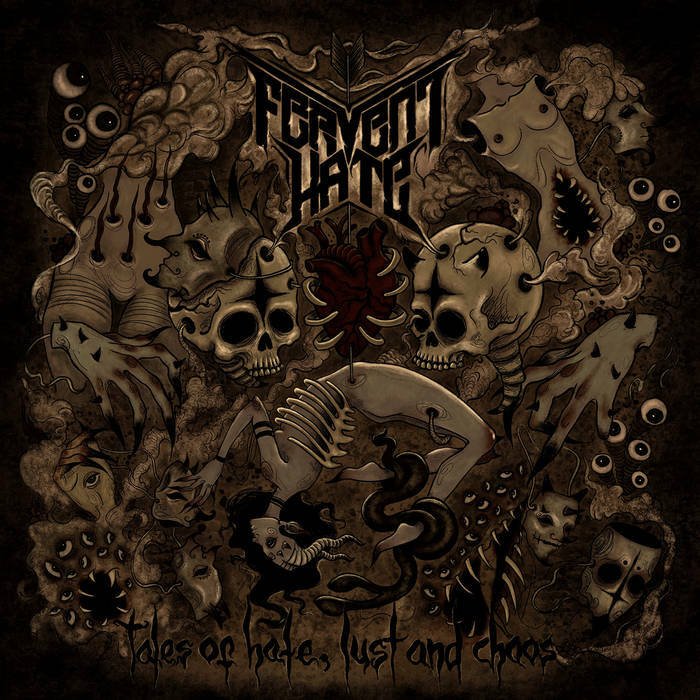 If you do not know this Peruvian band yet, I even would recommend you to purchase this album as a blind buy (if you are in type of Swedish death metal sound), because Fervent Hate is a bloody good and mature band and the record is really really great.